« Are fireworks a waste of money? Society has some plan as to how to deal with physical insults. Courts and prisons are full of people who have caused physical hurt to another in some way. This is not the same with emotional hurt. Sometimes we will be initially unaware that our words and actions (or our response to those words) have offended another. Even those who are most careful may still at some point offend another person. There is no shortage of friendships and families that have broken down because deliberate or indeliberate offence has occurred. These delicate situations are not easy to resolve because all parties may, to some extent, have hurt another by their actions, choices or words. 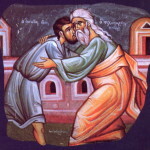 Recall the parable of the Prodigal son who offended his father by taking his inheritance to indulge in a wasted life. In time he returned truly sorry for his actions and his father forgave him but the one person who could not forgive was the older brother who had remained at home always faithful. In the end, by his anger, the older brother became as guilty as the younger. The reason rifts do not get resolved is because too many of us feel justified in our positions of hurt or anger at another. People can spend a lifetime explaining the precise way in which they have suffered offence, and this may well be true, but at that point there are only two options. One can remain convinced of the need for the other person to reform and thus remain hurt and angry forever, or make a conscious decision to forgive. Now as soon as people hear about forgiveness they get specific ideas of what that means, for example, ‘I am happy to forgive as long as…’, or, ‘we can only move forward when…’. This is not genuine healing forgiveness. Forgiveness in the truest sense is a highly radical proposition, one not known well by a neo pagan society. Forgiveness involves an unconditional all embracing love of the other regardless of what offence, hurt or anxiety has been given us. This type of forgiveness involves taking our gaze from the other onto our own lives to examine where we may have given offence. It is rare that one person is completely innocent while the other is completely guilty. True forgiveness brings about a love that is patient, kind and rich in mercy. Even if we are truly the innocent one, forgiveness will be quick to turn the other cheek. Those who follow the Christian faith will recognise the ancient petition in the Lord’s Prayer, ‘forgive us our trespasses as we forgive those who trespass against us’. Here it seems clear that personal forgiveness from God is completely dependent on our willingness to unreservedly forgive others, and be happy about that forgiveness. We must not remain thinking that our forgiveness makes us a better person than the one who we have forgiven. If we remain as the righteous older brother in the story of the prodigal son, we cannot say we have forgiven. If we do not acknowledge that our actions may have offended another, we cannot say we have forgiven. What we are too often looking for is a judge and jury, we want to have our story heard and be told who is guilty and innocent. This sort of mentality will never find peace because mercy is always greater than justice. The person who spends his life looking for justice will always be hurt and never have the opportunity to be truly happy. So go on, in this New Year, reach out in true forgiveness and see your life transformed.